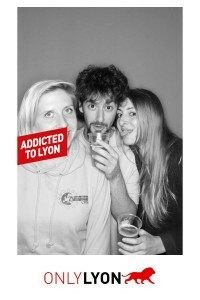 Our new Local of the Month is AEGEE-Lyon, a small French antenna with big AEGEE spirit! Let’s find out more about this antenna through the words of Marine Betrancourt, President of AEGEE-Lyon. The AEGEEan: “AEGEE-Lyon is the Local of the Month”, how does it sound? Marine: It’s an utmost pleasure to have been selected Local of the Month. We received the news while we were at AEGEE-Paris’ 30th anniversary event and I couldn’t have been more proud of my small, but super active team. It’s a recognition of the hard work of the small antennae that are usually forgotten within the network, because size does not matter, quality does. How would you describe AEGEE-Lyon? AEGEE-Lyon is a small antenna in the landscape of the AEGEE network, but although it went through hard times, the consecutive teams led great projects. We are involved on local level within the associations of the “associative incubator”, as well as working with the House of Europe & Europeans of Lyon/ Europe Direct Office, the European Union National Institute of Culture ( EUNIC, which are Goethe Institute, Institute Camoens, Institute Cervantes etc) and others European focused network & platforms. 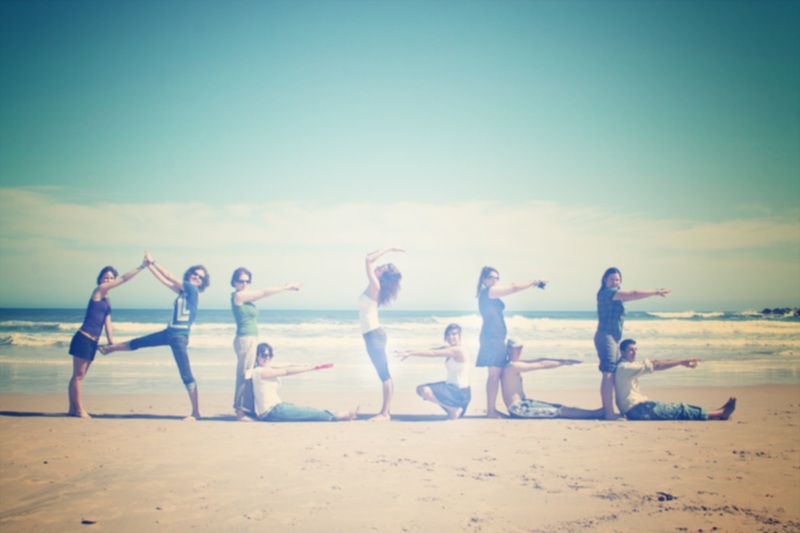 AEGEE-Lyon organised several European projects under the Youth in Action program, now called Erasmus +. Many years in a row, we also organised a European event for the famous “Fête des Lumières”, Lyon’s festival of lights happening early December. Last summer, AEGEE-Lyon organised a Travelling Summer University with AEGEE-Genova, going from Lyon to Genova and through Cinque Terre, through Annecy (the “little Venice of the Alps”) with the support of the city of Lyon and the region Rhône-Alpes. The beginning of 2015 has been really rich for AEGEE-Lyon. At the end of January, we signed a partnership with Le Journal International, an independent youth-led media based in Lyon with a strong network of contributors. Their articles are translated in English, German, Spanish and Portuguese. AEGEE-Lyon’s team writes an article every two weeks that is publish on Friday at 6pm. On the first weekend of the month, AEGEE-Lyon was at ANIMAFAC [ ndlr: umbrella organisation of youth organisations in France.] South-West weekend where AEGEE-Lyon led a workshop on the European level as an opportunity for associations. We were happily surprised to see so many different associations’ volunteers, interested in the Erasmus + program opportunity, as organisation and for individual volunteers. On February 11th, we organised the first “Docs du Mercredi” of the 2015 season. It’s a thematic meeting happening on a Wednesday each month in Lyon. We organised around the obvious thematic “Europe, better together?” – the question mark was really important to us, especially to raise the debate and go out of the “good-thinking” of Europtimism. As much as we believe in Europe, we wanted to question it. We invited Esprits Critiques, les Jeunes Européens Lyon, BEST-INSA, as well as ESN-CosmoLyon to take part in it alongside us. On February 25th, Esprits Critiques organised a “Expressions du monde” [ World expressions ] evening, so obviously AEGEE-Lyon was here to help in the organisation and be part of it. It was an evening full of debates, workshops, people expressing their cultures through dances, songs, poems and slams and world cuisine. 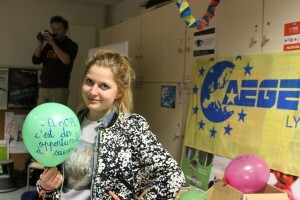 We had an activity around “Europe for me is…”, as well as a discussion around Europe and culture. What is the best part of being a member of this antenna? The amazing team spirit that makes us work so well! Really, we’re more than a team, we’re friends and it changes everything in the way we organise ourselves. We know our strengths and motivation, and I believe this is the best of AEGEE-Lyon. And what is the best part of being the President of it? 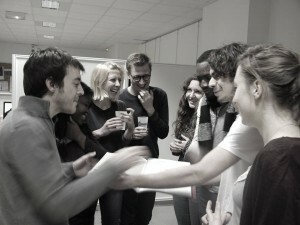 To see how AEGEE-Lyon evolves! No matter if we may be a small antenna, we really gained visibility within our associative counterparts, we are involved in the local active youth landscape and it’s really thanks to our few but great spirited active team that I’m so proud of being the President of AEGEE-Lyon. Which was your first important achievement? Without hesitation, the Travelling Summer University, AEGEE-Lyon organised with AEGEE-Genova last summer. It was hard, we were basically two people working on the French side dealing with fundraising, organisation and activities planning. We had our moments of doubt, we wanted to give up, but “who runs the world? Girls!” And we did it! With the amazing psychological support of AEGEE-Genova’s main organisers, Tiziano Tossati and Nicola Grasso, who calmed us down and also with a little help from our friends who join our helpers’ team. It was hard work, but it was the best of experience – and of feelings – to see how grateful and happy participants were. AEGEE-Lyon had already organised events and European projects, but it was our most important achievement to manage to organise a TSU when it had not been done in AEGEE-Lyon since 2009. We need members to get involved to keep up the good spirit of AEGEE-Lyon. For sure. French legislation on associations allows a multitude of associations and there is a vivid associative ground, but it’s really hard to actually get people involved. Moreover, Europe is a complicated thematic to approach people with, because there are a lot of prejudices in French society around the EU role and Europe, in general. What do the local people think about your antenna and about AEGEE? In the past years, we really gain institutional credit and it’s important. We are seen working hard on projects. The city of Lyon, the Goethe Institut and the Region Rhône Alpes are always willing to work with active youth in a European perspective. Local students are always hard to approach, whether it be for the European thematic that doesn’t seem to mean something, or because French curriculum is pretty dense and students aren’t encouraged to get involve extra. Though, we do have more credit as we are now working with various associations. Which are the things that you would like to do in the future? Involve more people in the amazing AEGEE spirit and keep the spirit alive for as long as possible..
Are you already organising something? Yes, we are. From 17th – 19th April, AEGEE-Lyon will organise a Regional Training Course (RTC)! AEGEE-Lyon, strong member of the inter-associative dynamic of the “associative incubator” of the House of Students of the city of Lyon, will prepare a training where we will be mixing an RTC with the strengths of the inter-associative dynamics. It would be an innovative format gathering 20 participants from the AEGEE network and open to students and volunteers with sessions led by trainers from The Academy, as much as by others associations from the House of Students. The RTC “Out of our comfort zone” aims at training participants on HR management, team dynamics and project management, acquiring tools and skills through non formal education dynamics to further and better implement at local level, discussing strategic thematic ( COP21 conference on climate change, gender equality, critical thinking in international media etc), enriching our skills from inter-associative dynamics and fostering inter-associative dynamics within AEGEE locals. So, don’t be shy – apply! And join us in discovering the amazing city of Lyon, the French capital of gastronomy and UNESCO heritage old town, mixed with high quality training and AEGEE spirit. It’s THE big upcoming challenge. Since most of our active members team will move out to new horizons… I’ll be leaving on Erasmus in Istanbul, Clément to the Netherlands or Denmark, Lucille moved to Versailles already. Of course, we’ll bring our AEGEE spirit and be part of the local antennae there. Tell us something that we don’t know about AEGEE-Lyon! 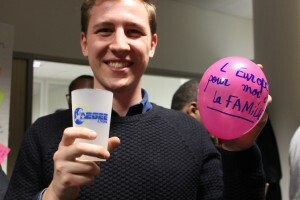 AEGEE-Lyon is a family story. I recruited my little sister, Lucille, and I’m really proud of her active involvement within AEGEE from the top of her 18 years. Since she moved to Versailles in January for her studies, she’s living the AEGEE spirit in Paris and was part of the organising team at “Back to the roots” 30th anniversary event AEGEE-Paris organised from 6th to 8th of March, but don’t worry AEGEE-Lyon will always be her antenna.